New Zealand Explored - Outside the Square. Tours for the "almost independent" Gay Traveller and their friends. Informal get together of guys who get together for a week to walk the great walks of New Zealand each year. Once a year I like to send open an invitation to gay hikers to come together and do a "Great Walk" together, I email hiking groups in Oz and NZ, friends and friends of friends do the rest. We usually get 6-10 people together for a hike which makes it heaps of fun (even in bad weather which we have struck on a few years) and its quite a shock to the straight couples when a group of men descend on hut and cook great food up, its certainly different. Its not really a OTS trip, like the "World trips" just a way of getting a group of outdoor individuals together, I use the contacts I have for the custom trips, and put together a weeks holiday focused on the walk. Costs are kept to a min, and depend on final number and and the size vehicle we hire and the accommodation I can book us into. For the hikes I do a meal planner and then we do a big shop and for the main evening meals and split the bill. Accommodation is all share in the huts of course, and I book shared rooms at the other locations just for our group. 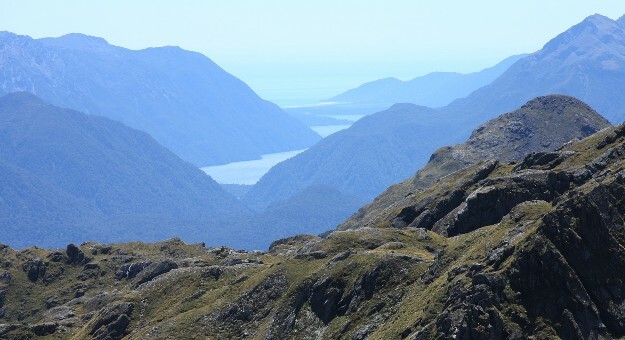 You need to do some research to make sure you have the right equipment and fitness level to do a NZ wilderness hike as this is not a guided walk at all, just a bunch of blokes coming together to hike, there is safety in numbers and we all look out for each other. Trips are Queenstown to Queenstown unless otherwise stated. Because the Doc huts on the track book up months in advance I need to get your interest ASAP so phone all your friends, check your diary and make it happen to keep the costs down. If we end up with less than 4 then I would put this together using transfers rather than a car or van, never had less than 4 so its not happened yet but I like to keep that option open to . Register your interest in joining us. I will email you and confirm as soon as we have min 4. Hut booking, you can either do this yourself as per instructions I send or I can do it for you Doc huts on this walk are $54 pn for 2015 season. I will require a $300 deposit if you would like me to book the huts on your behalf, as you have to pay these in full when booking, alternatively you can book the hut dates yourself and email me the confirmation. When we get to 10 max or the hut is full which ever happens first I put full up on the site. At this point I can give you an approximate costing based on 4 on the trip if we get more it will be at the lower end. This includes the 6 nights accommodation sharing, van hire, dinner and breakfast on last night. Guide $650-750 NZD. 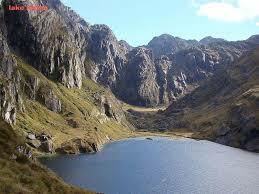 Plus we will split the cost of the food shop for the hike and the fuel for the van. Drinks and not mentioned meals are your responsibility. Those flying in on Sunday and out on the Sat I can pick up and drop off at the airport. Please register your interest in joining us on this years hike.